Often in the wake of loss our capacity for empathy grows; we can more easily see the pain in other people, and identify with that pain. That’s the difference between empathy and sympathy; with sympathy you just recognize someone’s pain, but with empathy you feel pain too. There are pluses and minuses to this greater capacity for empathy. On the plus side you’re now probably better equipped to help others who have lost a loved one, but on the minus side seeing their pain may bring your feelings of loss and sadness to the surface again. An important thing to remember when you’re supporting someone else experiencing grief is to not compare losses. It’s possible that the sadness they’re feeling for the loss of their dog is as profound to them as the feeling of loss you had for your spouse, parent, etc. A good practice is to look past the subject of the loss and just recognize the suffering in the person you’re supporting. Speak to their pain without judgment of the loss itself. 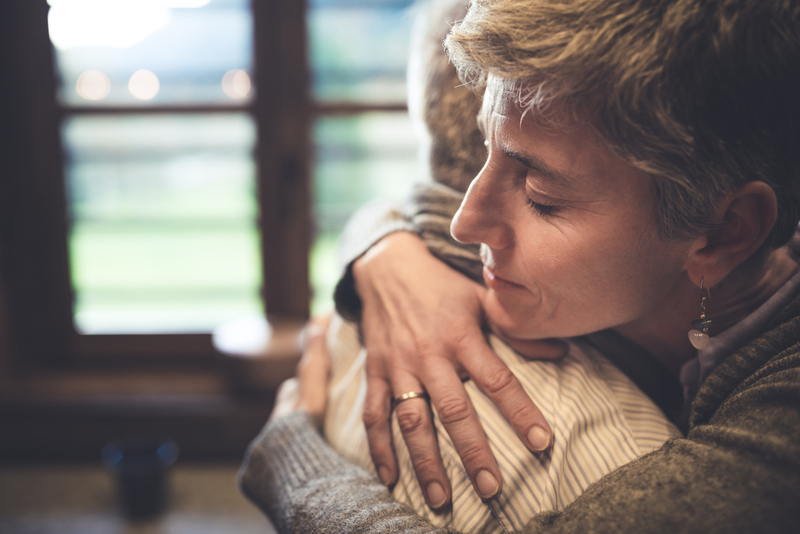 If their sadness reminds you of your loss, it’s tempting to insert your experience into the conversation, but do so carefully, making sure that what you’re saying is about supporting them and not as much about you. If you make it more about you, you may think that you’re explaining how you can relate to how they’re feeling, but you’ll run the risk of conveying a message that your loss is more important than theirs. So, just be sure that you’re keeping track of what you’re saying, and that you’re speaking with the intention of supporting someone else. It’s not a bad idea to use some qualifiers like “I know it’s not the same situation but when I…” or “I remember feeling something similar when…” this way you’re commiserating, you’re showing empathy, you’re letting them know they’re not alone, but you’re not saying that you know exactly how they feel, because no one knows exactly how they feel. Just like no one knew exactly how you felt when you lost your loved one. That said, there’s nothing wrong with allowing their emotions to bring out emotion in you. If something they say makes you cry tell them why. That bit of vulnerability might be what they need to hear. You can take all that you’ve learned in Grief Compass, and the wisdom you’ve gained through the time since your loss, and use that to provide others with the support you wished you’d had in the early days of your grief. Your loss then can make you a better supporter now.